Continuing with the theme of paths...this "alley" pathway has always puzzled me. 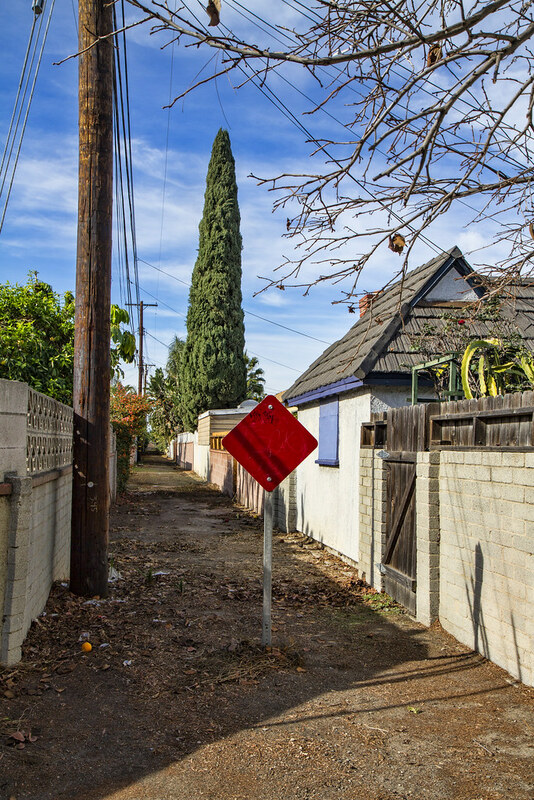 We live in Orange Estates and the large majority of homes have alley access to their garage or the back of their yards. 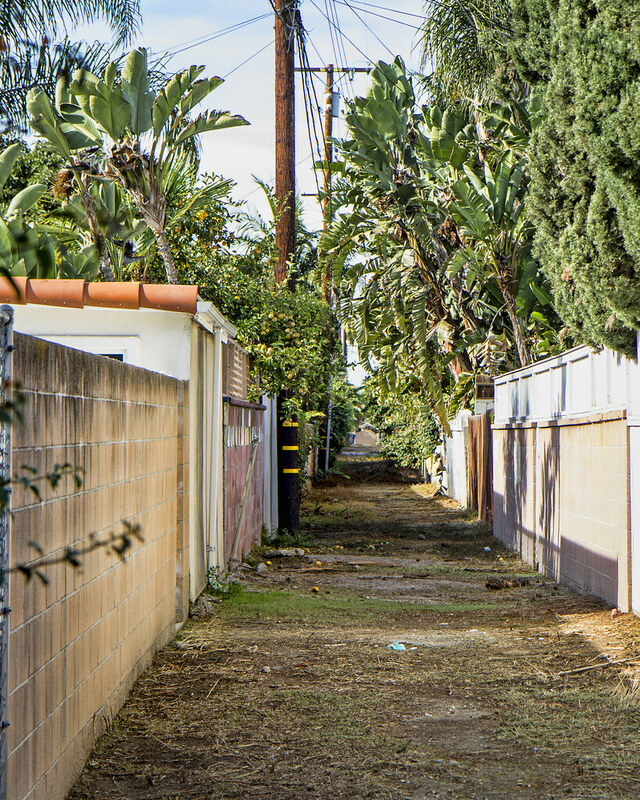 Well, these homes (just south of 4th) have alley access to their yards, but this is really much more of a footpath than it is an alley; they certainly don't have garage access. I have always wondered how this alley came about so differently from the rest. Does anyone know? "Imagination is a great thing in long, dull hours, but it's a real curse in a dark alley."